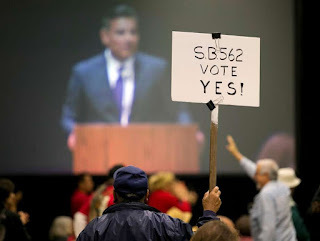 There is great desire and public support for health care coverage for every person in California. In our study, “Financing Universal Coverage In California: A Berkeley Forum Roadmap,” we identify three changes in the California health care system that can generate enough reductions in health spending to finance universal health coverage in the next few years. We have compiled our findings in a proposal to the Legislature. These reductions are achieved by using what California is known for: integrated health care. Kaiser Permanente is the best known example, but Dignity Health, MemorialCare Health System, Sharp HealthCare, and Sutter Health are also examples of large, integrated delivery systems. Using integrated care, better coordinated care and palliative care does the trick. Care is better coordinated through increased use of patient-centered teams of health providers. The Legislature should look at this proposal carefully and join health care and health insurance leaders in supporting this effort. 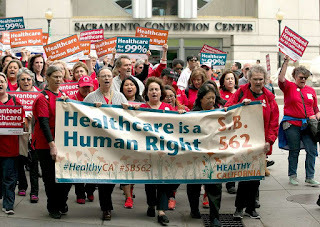 A number of candidates for political office, such as Gavin Newsom, and health policy groups, such as California Health Access, have supported this goal of universal health care coverage as what has been labeled a single-payer plan. The problem is that the funds to pay for single payer are not readily available. This lack of a clear funding mechanism is what led to the shelving last year of Senate Bill 562, the nation’s most ambitious proposal to institute single-payer health care. If California makes the three changes outlined in our study, the remaining challenge to instituting single-payer health care is to capture the savings from the Medicare and Medi-Cal programs. That would require federal waivers, as the report on single-payer health care by UCSF that the state Assembly commissioned points out. Given the Trump administration’s emphasis on states running their own health care systems, this is not out of the realm of possibility. Richard M. Scheffler is distinguished professor of health economics and public policy in the UC Berkeley School of Public Health and the Goldman School of Public Policy. He is the director of the Petris Center on Health Care Markets and Consumer Welfare, which prepared the study and the proposal. 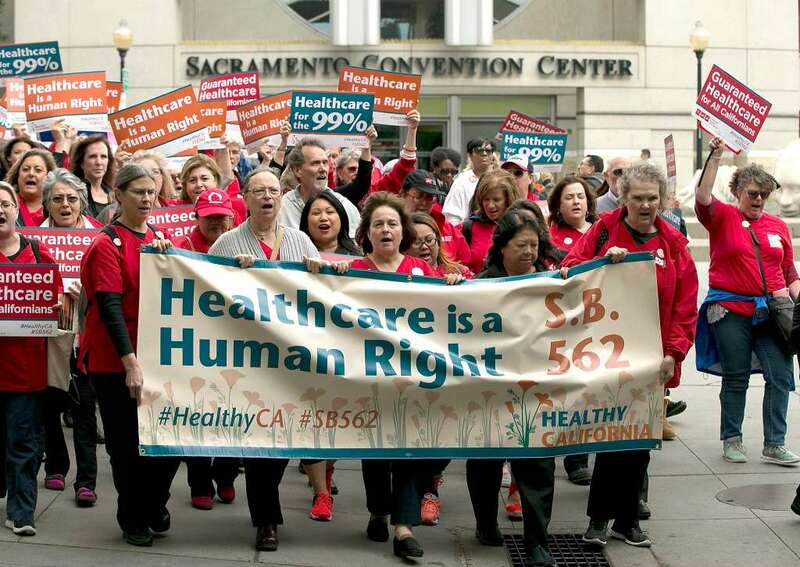 0 Response to "In California Single-payer plan is within reach"